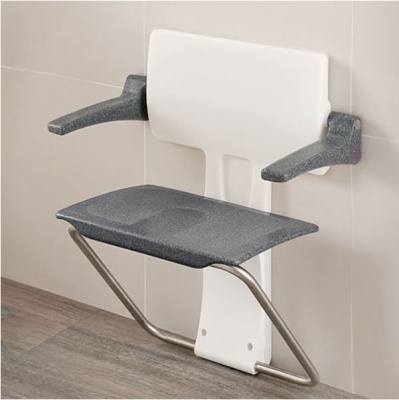 Specifically created to provide comfort, support and assistance whilst showering the Slimfold seat contains many innovative features including strong fold down arms with rounded edges to provide assurance moving in and out of the seat, and an easy clean seating area to provide cushioning and support for long showering sessions. 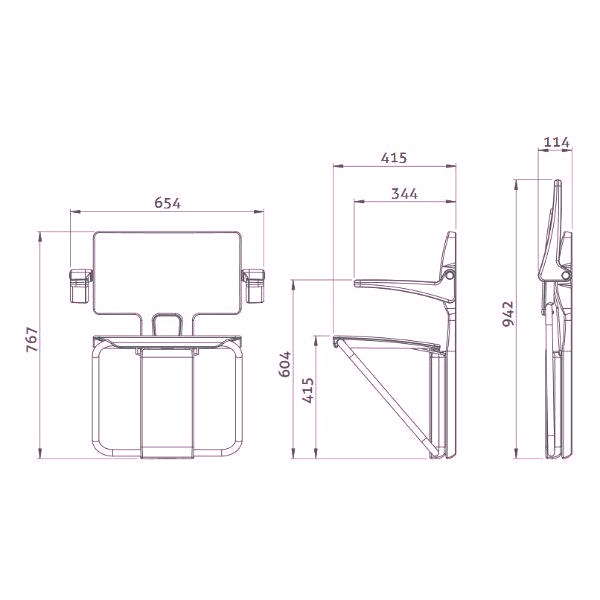 When folded, the seat has a projection from the wall of only 114mm plus you see the stylish top of the seat rather than the underside. To deploy it you simply pull out the front edge so that the rear of the seat slides down, and in the case of the seat as opposed to the bench, the arms then fold neatly into place. 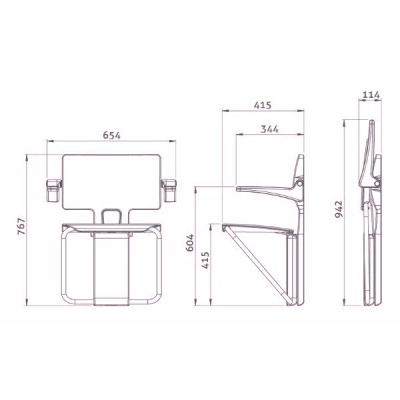 The non-obstructive cross bracing legs allow the seat to be mounted at any height from 417mm upwards, making it suitable for both children and adults.The slim fold has been designed to withstand up to 300kg and has undergone a number of stringent tests to guarantee structural safety and security.